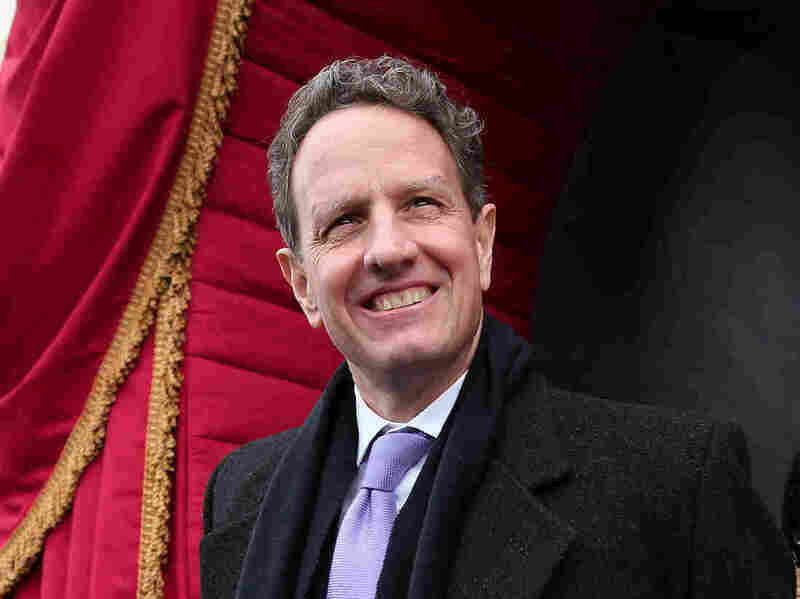 Book News: Geithner Writing 'Behind The Scenes' Story Of The Financial Crisis : The Two-Way Also: Tan Twan Eng wins the Man Asian prize; Aaron Swartz posthumously honored by the American Library Association; Sheryl Sandberg on Madeleine L'Engle. Former Treasury Secretary Timothy Geithner's new book promises to give us the inside dope about reaction to the financial crisis. Former Treasury Secretary Timothy Geithner has a book deal with Crown to write an account of the financial crisis that will explain "how decisions were made during the most harrowing moments of the crisis, when policy makers faced a fog of uncertainty, risked catastrophic outcomes, and had no institutional memory or recent precedent to guide them." Crown said Thursday that the book is scheduled for 2014. It's currently untitled, but we heard some great title suggestions when his plans to write a book were announced last month. "I keep asking Facebook's engineers to build me a tesseract so I, too, could fold the fabric of time and space," Facebook COO and Lean In author Sheryl Sandberg, on her love for Madeleine L'Engle's A Wrinkle in Time, in The New York Times. Malaysian author Tan Twan Eng won the Man Asian Prize on Thursday for his novel The Garden of Evening Mists. He recently told The Huffington Post, "I enjoy writing unlikeable characters, I think there's a challenge to writing unlikeable characters, writing them without passing judgment on them." In a profile with the headline "The Inscrutable Brilliance of Anne Carson," The New York Times' Sam Anderson writes: "Carson is usually referred to as a poet, but just about no one finds that label satisfying: her fans (for whom she does something more than poetry), her critics (for whom she does something less than poetry) or herself." Aaron Swartz, the Internet activist who killed himself in January, will be honored by the American Library Association with the James Madison Award, for his work fighting for "open and equal access to information." "There is something wild in the beauty of Baldwin's sentences and the cool of his tone, something improbable, too, this meeting of Henry James, the Bible, and Harlem," Darryl Pinckney, on legendary author James Baldwin, in The New York Review of Books.